It's alway great when more than one of my interests intersect, and it seemed to me that this particular post, the 600th on this blog, was the ideal time to share with you a picture that was posted by Joseph Staub on the forum of the American Heraldry Society a few days ago. And considering that it combined one of my loves, heraldry, with another of my loves, military aircraft, it was just too good to keep to myself. And so. for your heraldic viewing pleasure, here's a photograph of a Czech fighter jet (I think it's a General Dynamics F-16 Fighting Falcon) with what I can only consider to be a really cool, heraldic paint job! 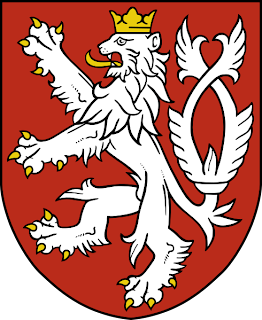 The lion rampant on the aircraft is, of course, from the "small arms," the simpler, non-quartered coat of arms of the Czech Republic, shown here. Another member of the AHS, Joseph McMillan, replied to a comment about how it wasn't really very well camouflaged, "It's in case the Czech Air Force ever has to deploy to the African veldt; the airplanes will blend in with the lions." I hope that you will find this combination of heraldry and aviation as enjoyable as I have! Need to correct you there. 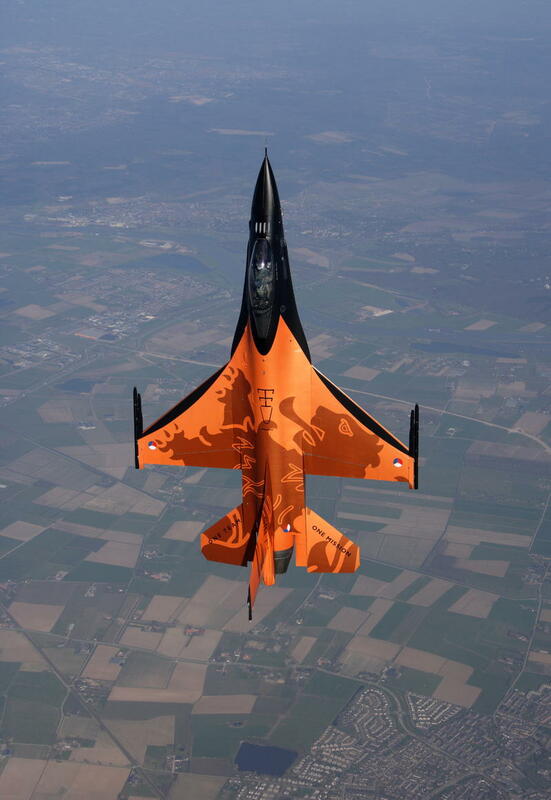 It is the Dutch F16 Demo Team. http://www.f16demoteam.nl/ The dutch lion and the round flag patches. Red white and blue with in the middle a dot of orange ( for the king ). You are indeed correct! The roundels on the wings of both the Czech and Dutch Air Forces are very similar, but the order of the colors is different: blue, white, and red for the Czech; blue, red, and white for the Dutch. The similarity caught me, and I apologize for not confirming it more carefully before posting. Yes, it is dutch fighter jet, czech army have Grippen fighter jets!